Originally published in the Riverfront Times. 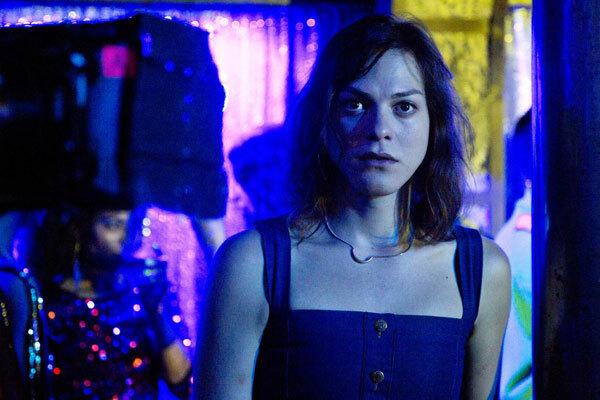 There may be a double meaning in the title of Sebastián Lelio’s new drama, A Fantastic Woman. From one point of view, Lelio’s heroine, Marina (Daniela Vega), lives up to the title, displaying considerable courage under pressure. From another view, “fantastic” can mean unbelievable or even a bit unreal. I don’t think Lelio is endorsing that slightly more pejorative description, but the ambiguity of the title is a reminder that not every character in his film is prepared to accept Marina as openly or charitably as the first meaning would suggest. Lelio begins his film by slowly and casually introducing Marina, a waitress and singer currently living with a considerably older man. After a romantic night out, her partner Orlando (Francisco Reyes) wakes up in the middle of the night feeling ill and then collapses. In what seems like just minutes later, after rushing him to a hospital, Marina is told that Orlando has died. 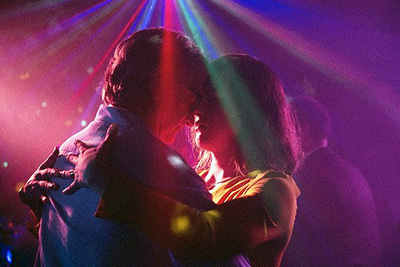 Those events are essentially a prologue to the rest of A Fantastic Woman, which becomes a story about Marina’s grief, filtered through the sudden hostility of Orlando’s family and, by extension, society itself. Though nothing up to this point has directly addressed the subject (or tried to disguise it, for that matter), Marina is a transgender woman, comfortable with her sexual identity but suddenly treated like an anomaly by the rest of the world. Orlando and Marina (Francisco Reyes and Daniela Vega) are a couple until tragedy strikes. For much of the first half hour, Marina’s sexual identity is almost irrelevant — you could almost miss the sole reference to it when a policeman switches pronouns in the middle of a conversation. Lelio doesn’t treat it as a titillating plot twist or sudden shock. It becomes an issue not for Marina, but solely for other characters who can’t accept it. That sense of avoidance — or perhaps deference — is deliberate. When the subject is forced, as when Marina is subjected to a physical examination, we share the sense of awkwardness and embarrassment, as if her very identity was being challenged. More than anything else, A Fantastic Woman is a tour de force for Daniela Vega, whose subtly charismatic performance shapes the entire film. (On March 4, Vega will become the first transgender presenter at the Academy Awards.) Her creation of Marina is not autobiographical, but it’s obviously personal. She’s on screen for almost every minute, so the viewer has no choice but to observe closely, to see how she defines herself. Every dramatic moment and every relationship is defined by how Marina fits in. Vega lets us understand her defensiveness, her sense of being an outsider, but also her self-assuredness. She understands the importance of an image and keeps control over her own. Though there’s not a trace of exploitation to the film, director Lelio is not above adding a playful touch to a film that avoids melodrama and even hovers close to noir. (Is it stretching a point to see the name of Marina’s partner as a nod to Virginia Woolf’s famously gender-fluid hero/ine?) Mirrors and multiple images remind the viewer of the changing nuances of gender identity; there’s even a crucial scene where Marina has to pass herself off as a man. Lelio chooses his images carefully, but with a respectful sense of fascination for both character and actress. Gender is a source of conflict in A Fantastic Woman, but only for those who choose to be judgmental. Lelio addresses the conflict, but his film is no polemic. It’s a celebration of a strong character and of an equally powerful performer. “A Fantastic Woman” directed by Sebastián Lelio. Written by Sebastián Lelio and Gonzalo Maza. 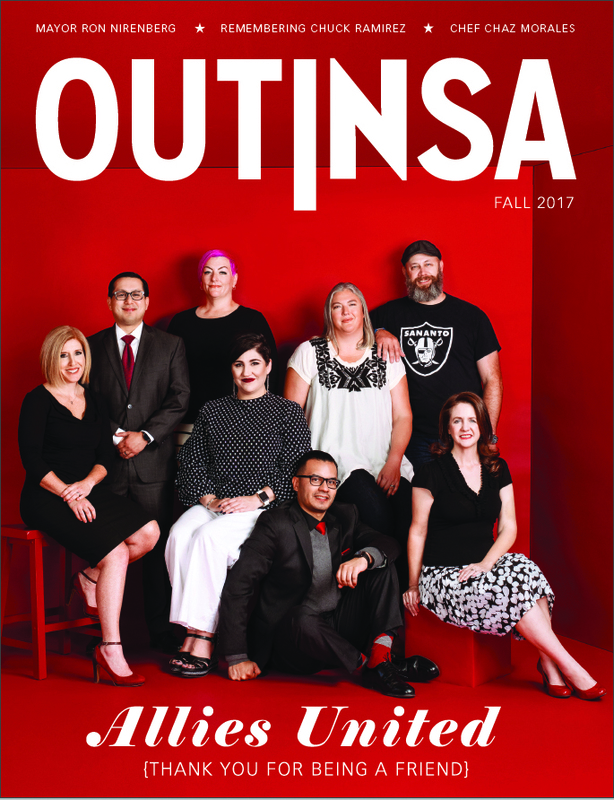 Starring Daniela Vega, Francisco Reyes and Luis Gnecco. Opens March 9 in San Antonio theaters.